The Office of Student Engagement offers programs and services that encourage student involvement in the campus community. Participation in these activities is an integral part of the total collegiate experience and provides co-curricular and extracurricular complements to the academic sector of the University. We are located on the first floor of the Rev. Dr. William G. Gillespie Residence Hall and Student Center. The office is open Monday through Friday, 8 a.m. to 6 p.m. 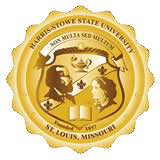 The main phone number is (314) 340-5300, our fax number is (314) 340-5181, and email address is StudentEngagement@hssu.edu.